ANNAPOLIS, Md. — Late U.S. Senator John McCain will be laid to rest at the U.S. Naval Academy Cemetery in Annapolis. A private memorial service will first be held at 2 p.m. on Sunday at the U.S. Naval Academy Chapel. A private burial will then follow. 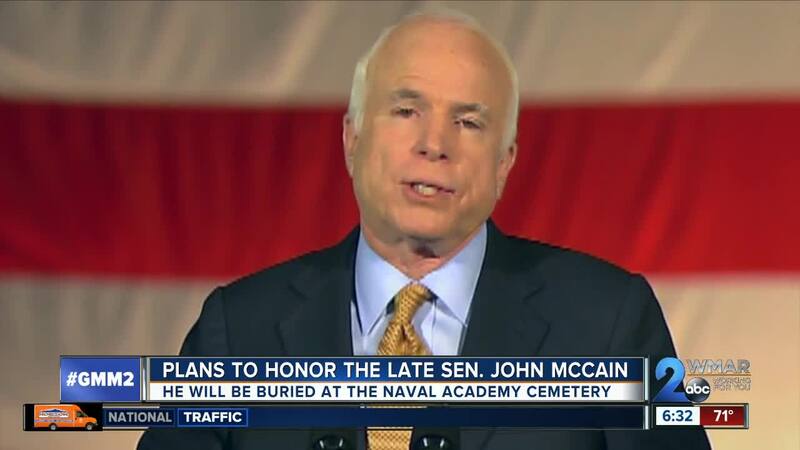 Leading up to his burial, McCain's body will depart his home state of Arizona on Thursday, headed for Joint Base Andrews in Maryland, where he will be received with ceremony by Armed Forces Body Bearers. 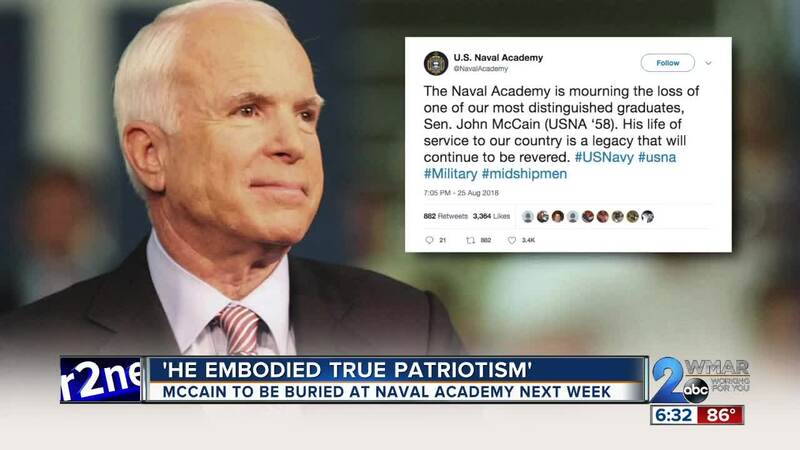 On Friday McCain will lie in state at the United States Capitol in Washington, D.C. Following an 11 a.m. formal ceremony inside the U.S. Capitol Rotunda, the public will be permitted to pay their respects. A time for the public viewing has not yet been announced. On Saturday, September 1, a national memorial service will take place in Washington D.C. at the National Cathedral to celebrate the life of the Senator. McCain passed away Saturday evening after an extended battle with brain cancer. He was 81.